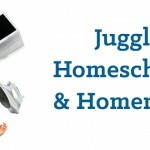 I read this article and wanted to share it with you: How I Juggled Homeschooling and Homemaking https://blog.sonlight.com/how-i-juggled-homeschooling-and-homemaking.html. Perhaps you know the feeling. It's 5:30 pm, the house is a mess, and you haven't even thought about dinner. Sometimes the logistics of life just get away from us as stay-at-home moms. There is so much to do! 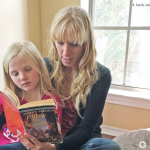 So how do you juggle everything on your plate as a homeschool mom? I won't pretend to be the expert here. You can find lots of tips and helps online, so instead I'll just share what happened to work for me. While I was at home with the kids, I seriously narrowed down what I wanted to focus on. My list included: homeschooling the children; nurturing my relationship with them, my husband and the Lord; and helping Sonlight become a blessing to families. I let a lot of other things go; I had to in order to stay sane, enjoy the good in life, and have the energy to serve my family and Sonlighters. Routine was key for me. We would get up about the same time each day, and then follow a regular pattern. We always started with our Bible reading together. That made sure we got it in each day, and it was truly an encouragement to my soul to read Scripture daily with my children and talk about it together. From about 8-10 in the morning I would have the younger children read to me, and everyone would do their independent seat work such as math, handwriting, copywork and spelling. While the kids did their seat work, I would clear the breakfast table, throw in some laundry, make the bed, and pull out any frozen food for dinner. At 10, we'd take a break for a snack. Then we'd sit in the living room and do all the books we read together. 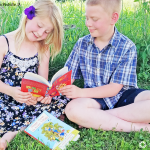 The children would usually play quietly with Legos or simple art supplies while I read. Reading together after our break helped motivate the kids to stay focused for that relatively short seat work period. If they didn't finish their seat work by the break, they had to finish it after lunch. That seemed to encourage the kids to work quickly - a good life skill to develop. After lunch, the kids were on their own. They would play outside, work on their own "just for fun" projects or play with friends. John would read to them at bedtime, which gave them a time of bonding and calming prior to settling down for the night. That's the schedule that worked for me. 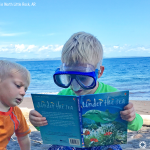 Give it a try if you want, but know that other moms approach the schedule quite differently. My daughter Jonelle works in chunks as she homeschools her children. They focus on one topic and work through all their materials in a day. It gives them a sense of closure. I'm more of a "do a little every day in every topic." Both methods work just fine. When it came to cooking and cleaning, I adjusted my standards and kept it simple. As soon as they were old enough, I taught the kids to make their own simple easy breakfast and lunch each day. For dinner, I kept a repertoire of meals that I could make quickly and easily, and pulled them out on days I was running too quickly. We didn't eat fancy things, but simple and healthy enough worked for us. I also accepted that the house would not stay as neat while the kids were home and active. I preferred a house full of creative kids with supplies and Legos spread out, over children plugged into the TV or sent out of the home all day. As John read to the kids each evening, I picked up so we would start the next day with a (reasonably) neat home. I often vacuumed in the evening - it was amazing how polished it made the house seem. Is there something easy like that you could find for your own home? One of my favorite tips from the Inspire 25 event we hosted with Crystal Paine and Heidi St. John was that if you feel overwhelmed, sit down with your spouse and talk about what specifically is putting you over the top. Is it dinner each night, or the laundry, or clutter, or a discipline problem, or the taxi service you provide to your children's activities? Could you try anything new for this problem area? Many husbands love helping think of practical solutions to problems. You may be amazed what the two of you can come up with in one brainstorming session. You might also check out the Sonlight Forums, where a whole community of wise moms share struggles, ideas and encouragement in everything from discipline to homemaking and, of course, homeschooling. It is hard work being a stay-at-home homeschooling parent. But it also such a blessed stage in life. I pray that you find strategies that work for your family so you can enjoy this precious time while your children are at home. Stay on the course. You can do it! Thank you Sarita for your honesty! I and my husband minister in India with our 5 children and it is so difficult to prioritize and balance, but I am encouraged to know it can be done! Thank you for your practical tips. I've been using Sonlight now since 2007 and have enjoyed every year! 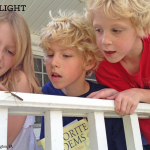 I can't say enough about Sonlight!